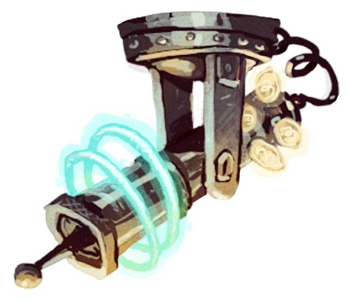 Well, I think it's "time" to "leak" some more concept "art" for the amazing game I've been working on at Double Fine for the past 9 months. 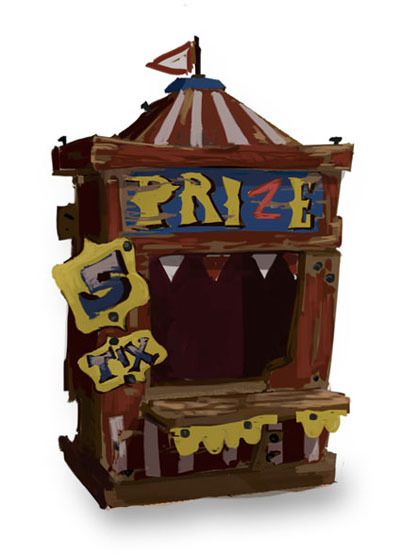 After posting the previous concept art of The Scientist and The Mobster, I started reading all the adventure game forums and other gaming sites and I noticed a common reaction along the lines of "Hey Ron, those are great and all, but what we really want to know is if the game will have an old carnival ticket booth and a ceiling mounted laser cannon!" Well, I'm happy to officially confirm that the game has both an old carnival ticket booth and a ceiling mounted laser cannon in it. I don't want to reveal any spoilers, but one of them is going to hurt like hell.